Island Components supports its motion control actuators and in-line packages with a variety of electronic products from simple control functions and servo drive electronics to closed-loop servo systems. Our electronics products are supplied as discrete components in boxes, on cards or as hybrid packages, either stand-alone or integrated inside the actuator or motor. We are experts in system design-to-specification, manufacture and test, system interfaces, system integration and development of special test equipment. We design for special environments, electromagnetic interference, low noise in underwater environment, high reliability, space applications, high temperatures, sealing for deep water and a host of other applications. We assist in preparing specifications and carrying out and/or executing qualification testing, in designing, developing, testing and manufacturing electronic systems for integration with electromechanical systems, and developing unique high performance controls. 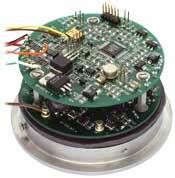 See Brushless Motor Controllers. Design, development and system integration of standard and special electronics. Packaging in unusual configurations, including either in a control motor or on a separate board, or other configurations. Design and packaging for extreme environments. Design of cables, including selection of connectors, specification of shielding and grounding, filters and EMI requirements, and EMI prediction. Gate array design and programming for control functions and lowest cost documentation. DSP design and programming for complex control functions. 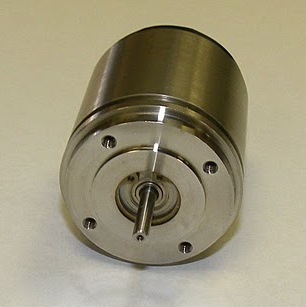 Design of special brushless motors, e.g., sine drives, resolver sensors, Hall sensors and electronic resolvers. Sensorless operation. Development of control electronics for specific frequency and transient responses, including computer simulation. Verification of optimum interfacing. System experimental debugging and performance verification. Closed-loop servo design; analog or digital interface; rate, torque or position-controlled circuit card complete design capability; incorporation of unique configurations into customer's configuration. Tell us your controller and other electronic requirements...use our convenient Applications Questionnaire to tell us about your project so we can provide a fast, reliable quote. See Brushless Motor Controllers and Hall Sensor Controllers.